A display stand is an obvious example of a free standing storage units for your living room. Available in many shapes and styles, display stands perfectly balance space efficiency and a chance to show off some of your most precious objects, like mementos and fancy porcelain. 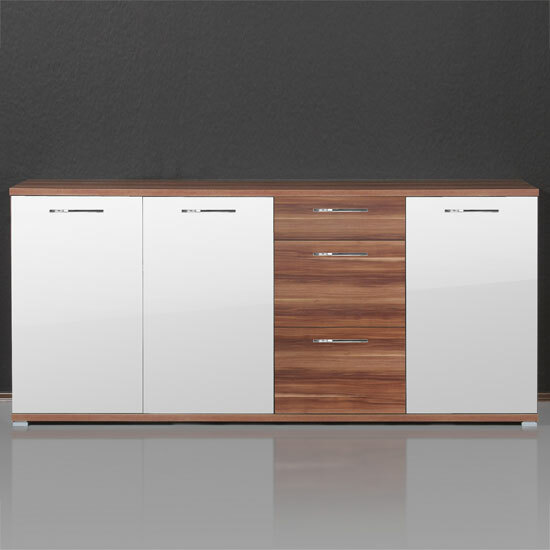 A sideboard is another common example, perfect not only for a living room but also for a dining room and a kitchen. It is a perfect furniture unit for keeping our things out of sight — after all, most sideboards come with solid doors, perfect for storing a wide variety of objects you do not need on display. A less common example of free standing storage units for your living room is a sofa with storage. Most modular sofas feature some space underneath the cushions, offering you a chance to store plenty of things you do not need regular access to. A coffee table with storage is a great model for keeping some minor objects — like pens, notary, chargers, batteries, and so on. Similar to sofas with storage, these coffee tables offer a unique opportunity to kill two birds with one stone. If you are going with an arrangement of puffs or ottomans in your living room, why not look for the models that come with hidden storage? Once again, you will have a collection of furniture that is not only stylish but also highly functional. Doubtless, a TV stand is another example of a furniture piece that can store plenty of items. If you are looking for the best combination of space efficiency and storage capacity, consider going with a corner TV stand. Shaving stands and racks can also be a great idea — especially, for a modern room. There are plenty of impressive, stylish shelving units to consider to turn your living room into the work of art. However, you should consider a couple of tips before you start choosing shelves — the quick list is here. Bookcases area another idea on free standing storage units for your living room. Sure, if your books are few, a display stand or a couple of shelves will suffice. If, however, you have an impressive library at home, but no separate room to keep your in folio collection, a bookcase in a living room is a sleek idea. Finally, if you are a fan of glossy magazines, why not get a separate magazine rack for your collection?